Want something with a twist? Why not put a twist to your usual Sisig? I discovered Sisig in a Pouch, an appetizer, at Mesa Filipino Moderne at Sky Ranch, Tagaytay. It’s basically sisig wrapped in layers of molo wrappers (what we use for siomai), and was deepfried afterwards. With this idea, you can wrap and deepfry any “ulam” (dish) you can think of! But of course, what you will wrap should already be yummy in the first place. You should try this 8-piece Sisig In A Pouch priced at Php 180. 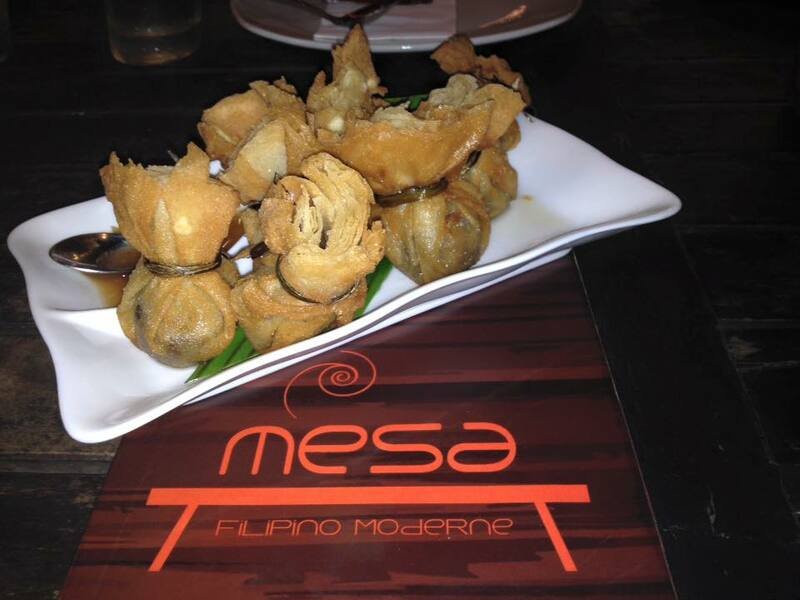 Also, Mesa Filipino Moderne Restaurant has other interesting Filipino dishes with a twist. Visit www.mesa.ph for more information.